Improve efficiency, functionality, and the flow of clinical information with Intesys® Clinical Suite. Our clinical system carries vital information to clinicians across services and sites. 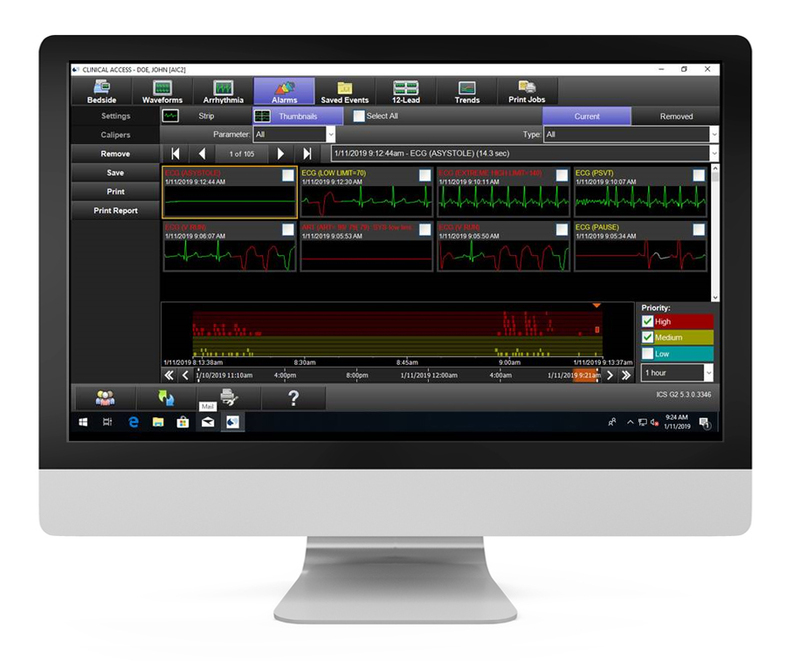 ICS can also deliver clinical information to your desktop PC and mobile devices. 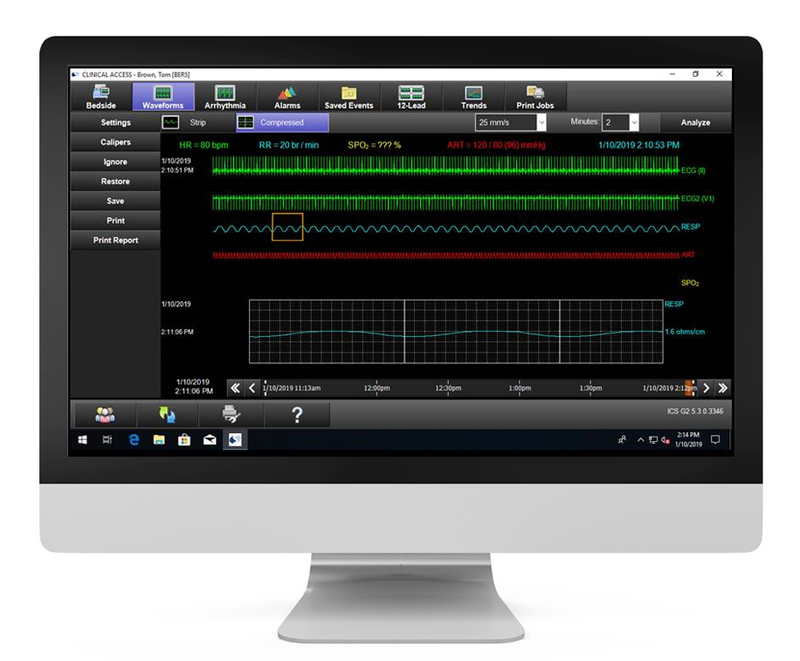 Working seamlessly with your EMR systems, ICS supplies both numeric and waveform data. With the simple touch of a button, you can retrospectively review alarm events in both thumbnail and strip format. You can even go back in time to see what preceded the alarmed event and how the patient recovered. 12-lead ECG export into cardiology data management systems such as GE’s MUSE and Spacelabs’ own Sentinel. ICS does not require a proprietary server infrastructure and may be virtualized.